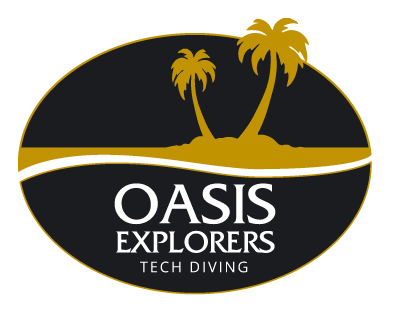 Oasis Explorers is a newly-launched technical training facility located at Bunaken Oasis Dive Resort and Spa in North Sulawesi, Indonesia. 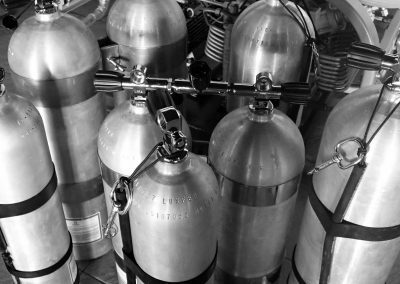 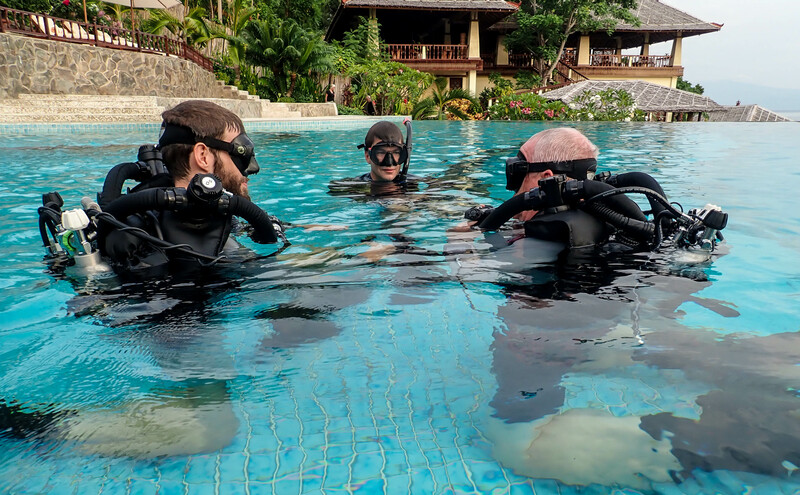 The facility is the first in Bunaken Marine Park to offer multi-agency technical training, trimix and CCR compatibility, and a vastness of unexplored deep dive sites, all in the setting of an award-winning luxury dive resort. 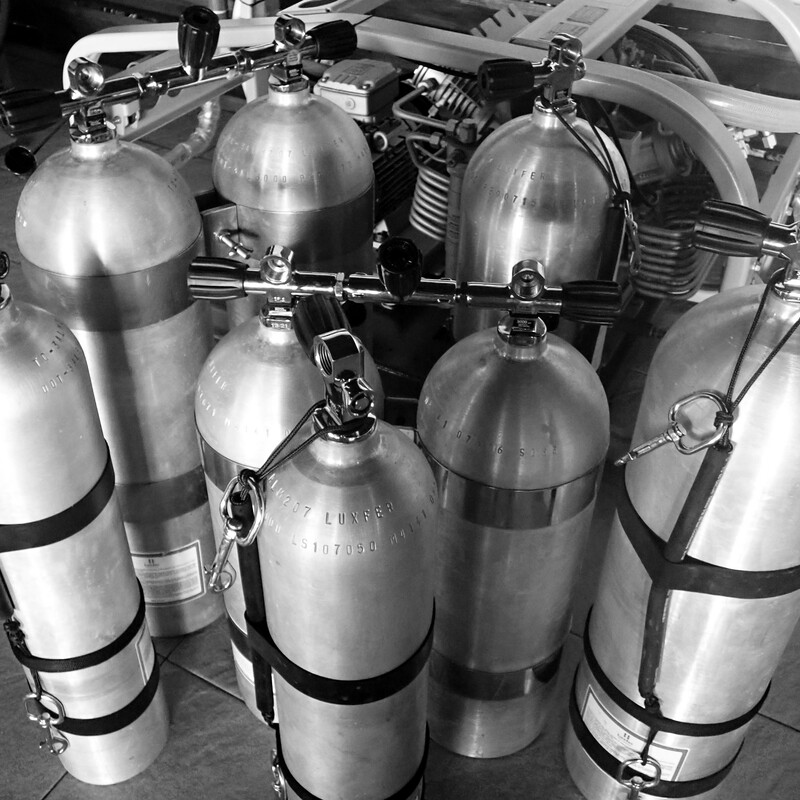 Expect a state-of-the-art filling station, specialised equipment, experienced surface support and expert advisors. 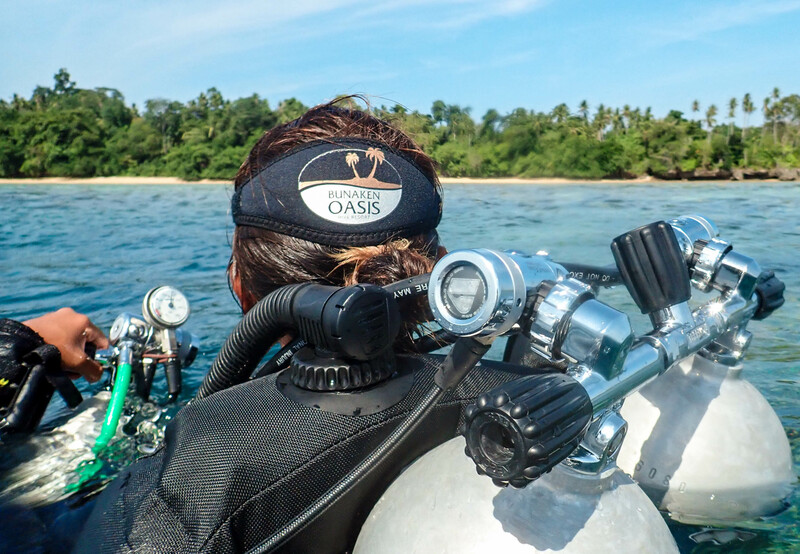 Oasis Explorers will also be working on opportunities in North Sulawesi for more detailed scientific surveys, environmental awareness for deep-water marine species and the first comprehensive mapping project beyond recreational depths. 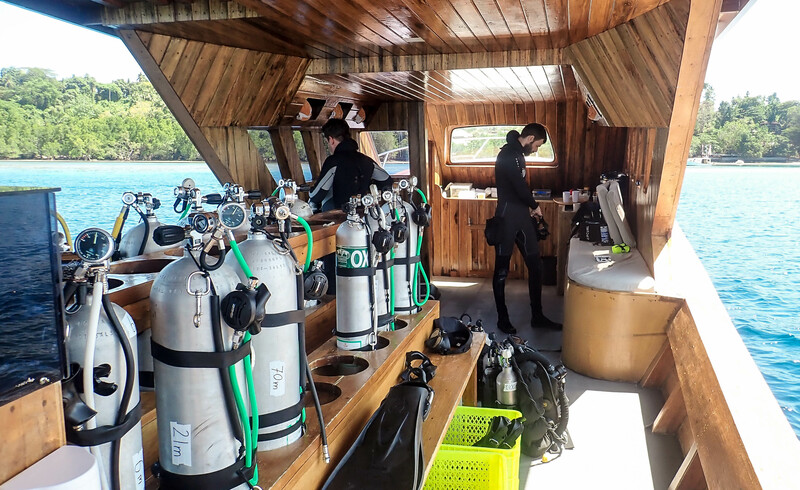 Bunaken Marine Park is well-known for its diverse macro life, lush coral walls and tropical, warm water although, despite the popularity of snorkelling and scuba diving in the park, there has not been much human activity beyond 30m depth. 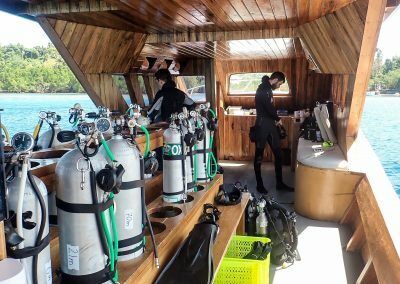 The handful of divers who have ventured in the deep in this area of North Sulawesi have reported striking topography, uncommon marine life sightings and an urge to go searching for more. The national park was established in 1991 and covers an approximate area of 890km², which includes five islands- Bunaken, Manado Tua, Siladen, Mantehage, and Nain. 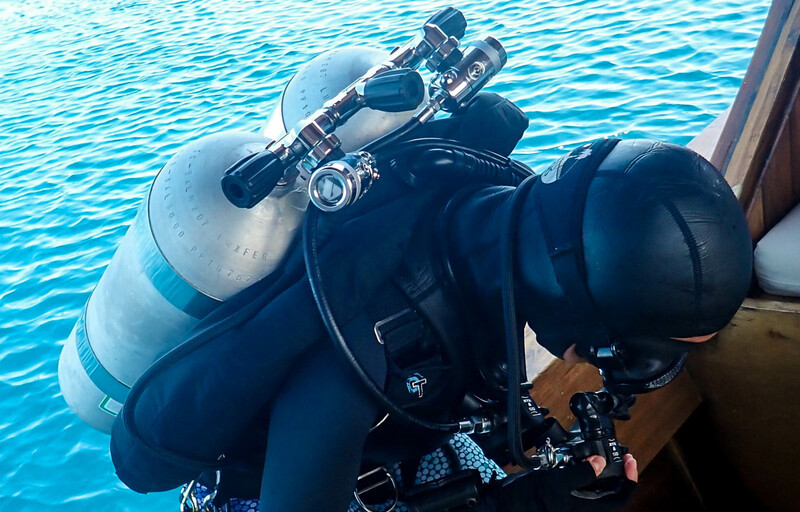 Indonesia is home to the richest coral reefs in the world, and the largest of marine biodiversity. 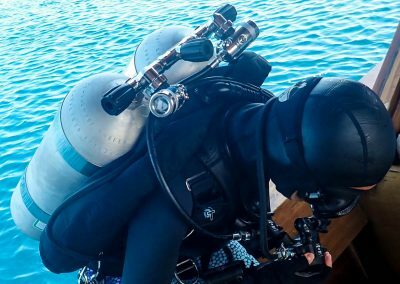 Bunaken not only has all of this, but also good visibility and mild to medium water currents, unusual in such deep waters. 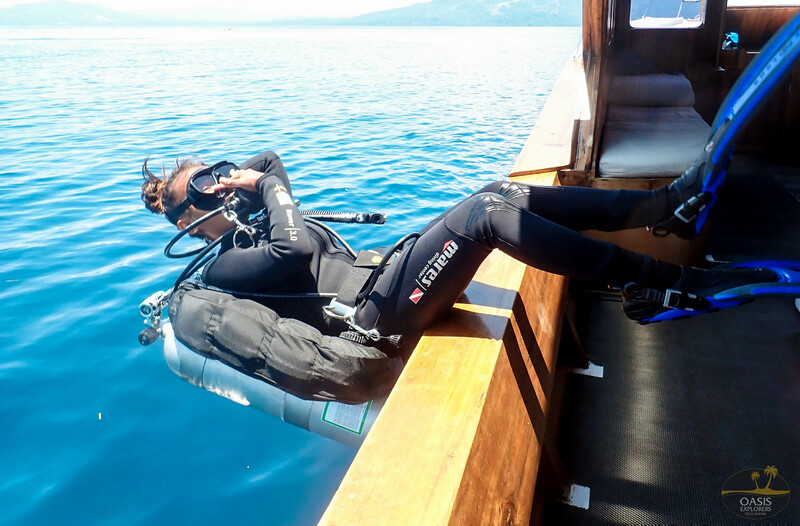 The steep, vertical coral walls are the most intriguing for tech enthusiasts, as the deepest point between Bunaken and the mainland of Manado is known to drop to around 1,800m/5,900ft. 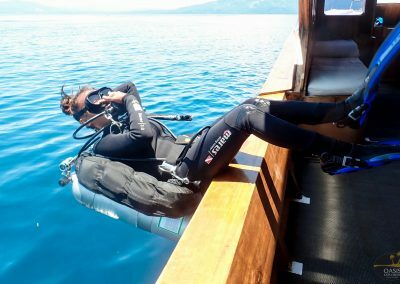 Manado Tua Island is the resident, though inactive, volcano in the park; however Bunaken also has volcanic origins, which opens up the possibility for undiscovered underwater ridges and valleys. 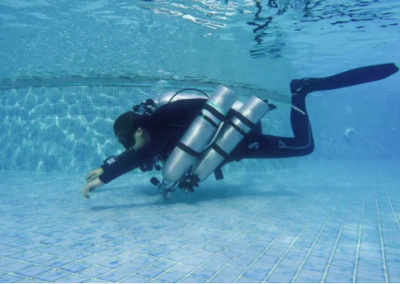 Due to the staggering depths, upwelling brings nutrients from the deep and also stabilises water visibility and access to light, which provides the perfect conditions for life to flourish well beyond the recreational limits of scuba diving. 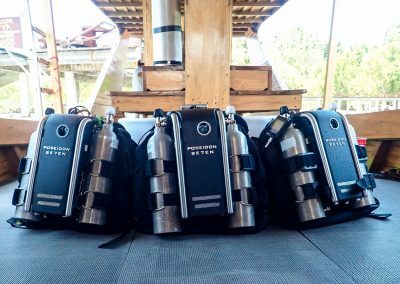 We started this technical diving facility with the goal of offering our guests a diving experience in North Sulawesi like no other. 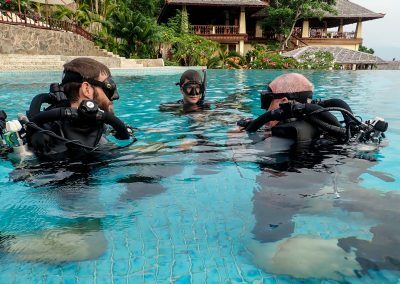 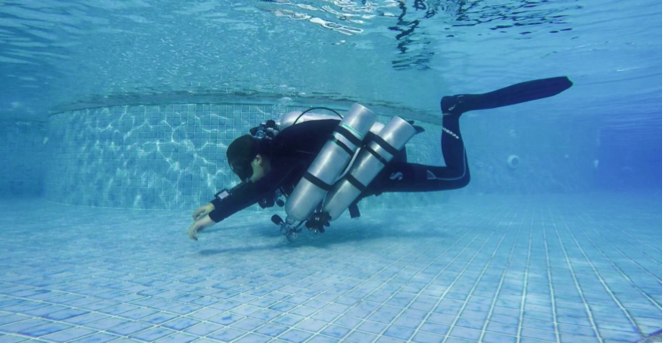 For divers who have yet to try tech, we offer PADI and TDI diving courses that will allow almost any diver to begin their journey, and for experienced tech-certified divers there are opportunities to take more advanced courses, or to plan and execute team-dives with our technical instructors. 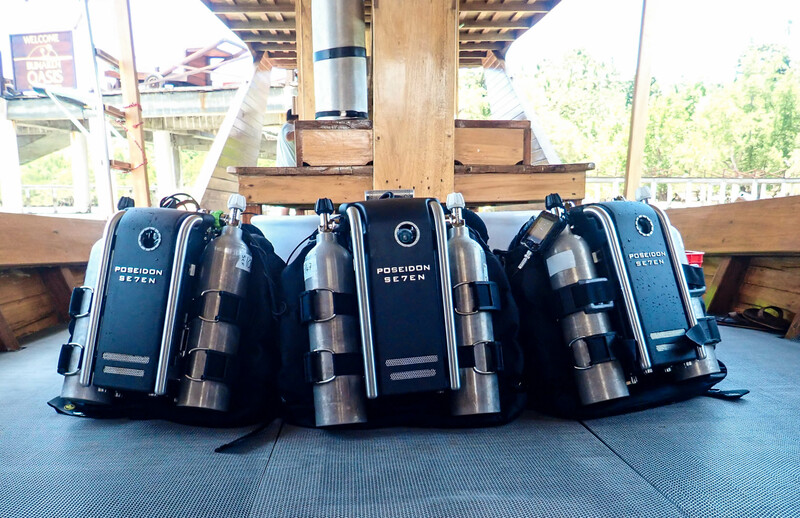 Bunaken Marine Park is a treasure trove of uncharted underwater terrain, and we are delighted to invite divers to join us on our mission to explore sites completely untouched by humanity, and discover what is lurking down in the deep.